A reader tips us off to this thread on Blender Artists where Cessen (AKA Nathan Vegdahl) was cooking 2 video demonstrations of some improvements on the Rigify system. PS. Nathan is available for hire. WOOOOOOOOOOOOOOOOOW!!!!!!!!!!!!!!! i been waiting for this for a LONG time! finally its here! W00t! 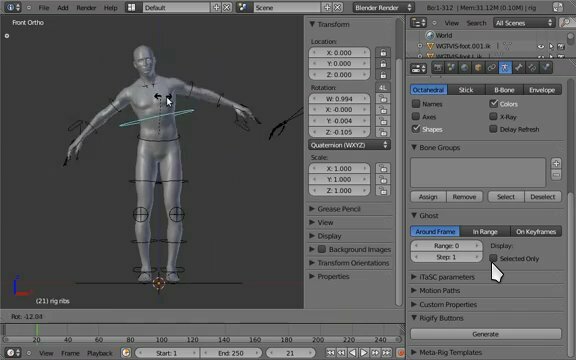 This will be great for those of us who don't really know how to create a good rig. Awesome! I'm getting more requests that involve animation and I hate rigging. Has anyone had any success getting this to work on Windows please? If yes could you tell me which build version you are using?